My look back is a little late this year, however here are some of my favourite images from 2018. So what does it take to make it as a favourite? These images all of some kind of impact for me (the original name for my site was www.itsallabouttheimpact.com until I realized that you needed great light in order to have impact). The impact could be because the image was hard to create, or was not planned and created on the spot, or in the case of a couple of them have significant personal memories attached. Clicking on each image will show a larger version of the image. Here are a few other years worth of favourites. Please enjoy! Argentina is a beautiful country, and Patagonia is a very special place. 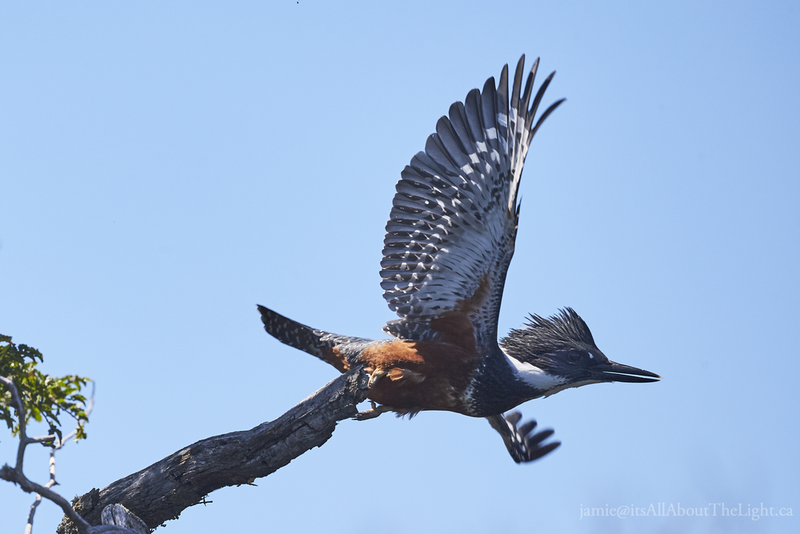 Along the rivers that we visit are Kingfishers, very nervous Kingfishers. This is one of the few images I got with it in flight. The annual cattle drive at the Tecka ranch in Patagonia is a highlight. This image shows a whole story from the lead hands, through to the herd being driven behind them, to the Andes in the background. While the irruption of snowy owls has become an annual event, getting images of the owls in flight is still hard. This beauty in flight was a lifer for me. The Bonnechere Cup is an annual event for me, and this year the my favourite image came on the way to the race at a Mennonite Church along the way..
On my first trip to the US southwest, a quick visit on a cloudy day to the ‘Valley of Fire’. I enjoyed my visit to a slot canyon where the erosion has created some wonderful shapes. A family trip to the US southwest with an image we could not have taken anywhere else. The image was made in Red Rock Canyon just to the west of Las Vegas. Each spring and fall I get to go with groups of friends to look for snow geese. This image made when the geese were not cooperative. I love the colour combination and the textures, as well as how the chains colours are reversed from the wall. Sometimes we find snow geese, many of them. These images with thousands of geese are amazing to see. The performances at the Kiwanis Music Festival can produce some interesting images. The closing performance gave me the chance to choose an angle and composition that was unusual. I love birds in flight. It is so hard to get a good image of a bird flying towards you, and where the light is good. This Great Blue Heron is flying into a rookery with some nice light. I have a love of volleyball that goes well back. This image is part of large series taken at the PanAm Cup in Ottawa. As a former middle blocker, I love the wall. These two young Great Blue Herons at a rookery are waiting for dinner to come back. The unusual angle showed off their downward looking eyes. Where did they go? It was a hot day in Ottawa, and the Governor Generals Foot Guards were on a water break. This is without a doubt one of my favourite images, ever. I was taking photos when the Central Experimental Farm in Ottawa, this monarch butterfly was a wonderful addition to the image. I love shooting sports, especially high level sports like this soccer friendly between Brazil and Canada. with this being Christine Sinclair, one of the best ever. The fact that there is no ball in the image is not a problem. I got started with serious photography back in 2004 because of Airshows and Owls. The repeating patterns of the Snowbirds on the ground caught my eye. This was more artistic look at a very technical double crossing by the Snowbirds. The show put on by the Snowbirds include multiple crossings, and this capture was perfectly timed. Nothing technical here, just a chance for my son Scott to meet Canadian astronaut Chris Hatfield. A life moment for both of us. This is a second image made when out looking for snow geese. 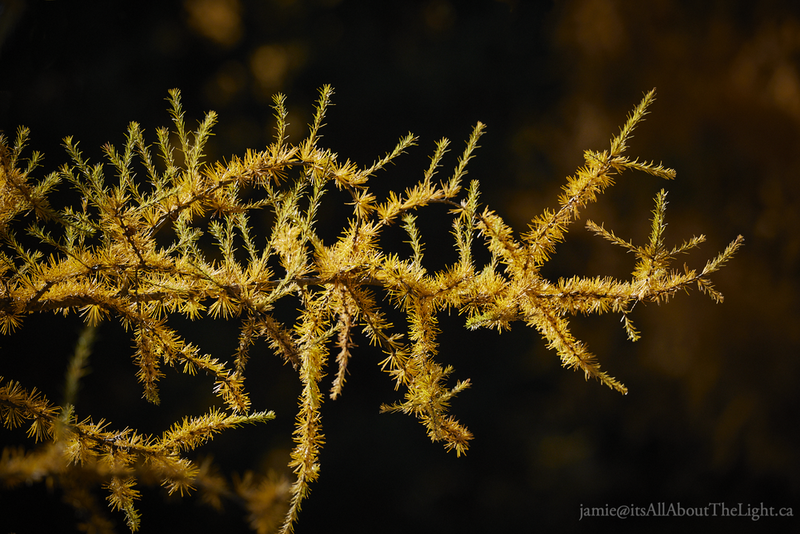 These tamaracks were near a creek where we have found the geese, not this time so nature was the topic. This was really quite a lop sided year. An incredible trip to Iceland ended up with almost half my favourites, and trips to Newfoundland and Argentina picked up quite a few more. As I was waiting for the cattle and gauchos to cross the bridge at the Tecka Ranch in Patagonia I could feel this image forming. When the cattle needed a little persuasion, the image was made. I went black and white to emphasize the timelessness of the image. At the branding next day, three generations of gauchos were watching the events unfold. Again in black and white for the timelessness as they intently watch something they have seen thousands of times. 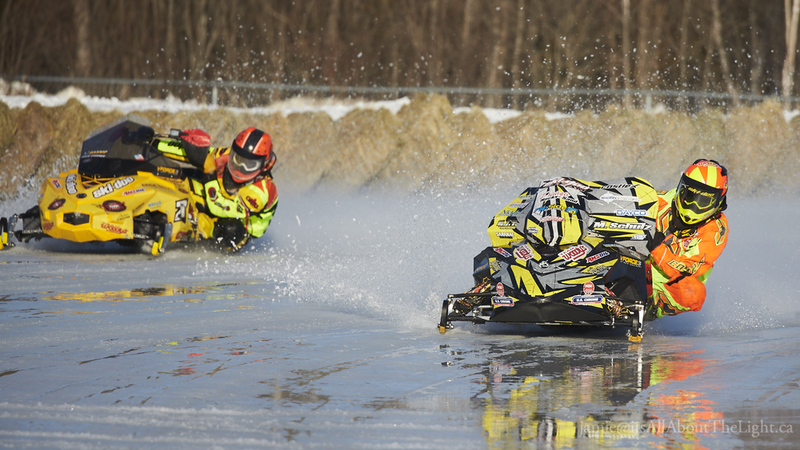 The Bonnechere Cup ran into some unseasonably warm conditions. The reflections in the water pools are not something that happens ever year. In my opinion the nicest images of snow geese come when there is still ice on the St. Lawrence, and the geese feel comfortable. This lift off from the ice was a treat for the senses. I love watching the waves of snow geese come in for a landing. The excitement of a round 3, game 6 NHL playoff game between the Pittsburgh Penguins and the Ottawa Senators. It was my first ever trip to the island of Newfoundland, and just after arriving on the ferry, this sunset presented itself. The beautiful colours with the reflections in the wet land impressed me. Near the L’Anse aux Meadows park in Northern Newfoundland is a small village. The bright colours of the laundry against the stark landscape tells a story. At the opposite end of the same village the icebergs had come into the bay. I loved the dramatic shapes and combination of harsh angles. This Curacao vs Canada soccer friendly in Montreal provided some high quality moments. This image with the action frozen with all eyes are on the ball, except for the player who is actually playing it made it interesting to me. Taken at Parc Omega, this arctic wolf knows exactly where we are. The cold stare is amazing. Making a nature image into a portrait is not something you get to do often. The shallow depth helps to isolate the wolf on the left. The Colour Run is described as the ‘Funnest 5k on the planet’ and these runners at the end of the event are proving it true. I was trying to capture the energy, action and the colour. it is never too late for nest building, and this male osprey is rebuilding one. I love doing birds in flight, and when something else is happening in the photo it makes it even more interesting. The dropped straw adds to the story. This trip to Iceland with iAmIceland was incredible with visits to many amazing places. This shot is literally from inside an extinct volcano. The lighting on the inside of the volcano was showing off the various minerals in the walls. Amazing! The Westman islands are an amazing place with these recently volcanic islands including Surtsey. These islands are perfect locations for sea bird colonies. This curious puffin was up close enough to blur out the background to focus on the bird. The only way to get to this edge of the Vatnajökull glacier is by helicopter. Our stop created some amazing views. Even though this flat patch of ground was recently under the ice, nature found a way to put some flowers. The angle was created to give the location context. The view from the helicopter leaving the Vatnajökull glacier area shows the flow edge and the movements of the ice. The 200m high cliffs with huge chunks calving off was awe inspiring. Iceland is famous for its northern lights, not usually in August though. The sun barely sets, so the azure coloured sky was showing instead of black. As the auroras dance with shapes can be amazing. I loved the colours and the movement along with the azure sky. This pair of Whooper swans probably had a nest in the reeds and were trying to keep out of site. The repeating patterns of the reeds broken up by the white necks trying to blend in seemed like an interesting story. When you travel with iAmIceland you begin to expect the unexpected. This gourmet lunch at the side of a waterfall that we had to ourselves was an excellent example. While it is not food photography, it is photography of food with a hard to match background. A flight over the Vatnajökull glacier showed off some of the fractured parts of the ice river. The side lighting on a turn in the ice showed off the texture from the fractures in the ice. Just minutes after flying over the Vatnajökull glacier, the outflow from the melting ice had formed an incredible delta. This image was taken through the wind screen of the helicopter, and it took a long time to repair all the rain drops from the image. How do you pick favourites from the thousands of images that are taken in a year? Good question. My selections are a combination of unusual images, beautiful images, ones that were planned for along time, or ones that I had to work extra hard to get. Considering the number of days that I took photos, it was surprising to me that there were two days that I selected three images from, and other day with two images on the same day. While the area of Patagonia that we were in is very dry, the local water holes are very busy areas. This crested caracara was on the raft of weeds where the grebes have nests, and was stealing eggs. On the same day in Patagonia, These great horned owls in the burrow had three completely different 'expressions' on their faces. At the end of a bird watching day the gauchos were branding the calves, and at the end of the day, this horse had other ideas about where it wanted to go. An early morning lift off of snow geese with back lighting provide for dramatic images of their wings, and combined with the water droplets being lit up made for an unusual image. As the geese that lifted off in the image above were returning to the pond, a different group lifted off. They headed directly towards us, which is quite unusual. As the flock inscreased in size, the lift off with a wall of geese gives an awe inspiring image. It may look like an abstract with repeating patterns. It is on my wall. I have covered the Ottawa Kiwanis Music Festival for 15 years, and the young performers are always amazing. The expression on this young performer's face was priceless. One sole white version of the 2017 Canada tulip mixed in with some of its red cousins seemed like a wonderful juxtaposition. In advance for the summer Olympics, the womens national soccer teams of Canada and Brazil played a friendly in Ottawa. This image of Canadian hero Christine Sinclair was special to me. An old paper mill in Beauharnaus Quebec was an interesting site for a model shoot, and with a topic of 'abandonded' in mind this image worked for me. A fair amount of planning went to a shot that was a long exposure with movement in the dress material. Special thanks to Laurence for the candles to add atmosphere. A sunflower farm south of Ottawa was a busy spots for pollenating bees. The bees can be hard to keep up without annoying them. A dance shoot with Kaitlin Chapple in the beautiful light of an old mill in Carleton Place. In my first shoot with a new Canon 5Div got a chance work with subtle colours of fall flowers at the Experimental farm in Ottawa. Iceland is such an amazing place! This image panorama of steam vents near a power plant was taken with a new iPhone 7. The dark skies backing the white steam felt very dramatic. After a windy rainy day doing the Golden Circle in Iceland, a brief blue sky and double rainbow happened as we found a field with Icelandic horses. The east coast of Iceland has some amazing fiords, and this one was very dramtic with the grounded barge and dark skies. Godafoss is one of the large waterfalls on the north shore of Iceland, and we got extra time at this site when our van broke down. By the time we were ready to go, the replacement van had arrived. We spent several days chasing clear evening skies for auroras, and found some beautiful ones at the coast. At one point we stopped shooting just to enjoy the show. My favourite location in Ottawa for nature shots is Mud Lake, and on an over cast day, this egret showed well against the dark background. The fall colours gave me a chance work with this chickadee to get a nice out of focus background. Seeds on the sumac made it easy to predict where it would land. With thousands (maybe tens of thousands) of images of snow geese it becomes harder to find original images. Dark skies in the background, light on lines of geese made for a special image. With snow geese coming in to land, the clouds, then a moon in the background provided layers of subjects. My first Ottawa 67s game at ice level, and it provides a reinforcement for how fast the game is. This was the games first goal. A trip to Calabogie Ontario after a snow fall, and with no wind gave the Madawaska River a nice reflective surface. It was another wonderful year for trips (Argentina, the Gaspé and Iceland) along with many other fun photo opportunities. I find it tough to pick 25 favourites from any one of my trips, and it is even tougher for a whole year. My critieria for favourite shots was not just that they were good images, they also had to have some kind of story behind them. One of the ways that I got to share images this year was the production of an iBook on Iceland, that you can download here. Here is a link to the high res versions of the images, as well as a link to a few more on my e-commerce site, please enjoy! After a long day of fishing, the return trip to the lodge ends coming over the last hill before the Corcovada River. This evening, the clouds broke right at the Andes, and the valley is beautifully side lit. This male Great Horned Owl as sitting on the side of a hill a few hundred meters from the burrow that his mate and their brood were hidden in. He kept a careful eye on us to ensure that we would not get too close without a warning. These yearlings have been running wild for most of the last few months, and were rounded up the day before for branding. They are now being returned in the early morning to pasture for a while longer before they are to be trained. This pasture lands in Patagonia have a number of different species of Caracara which love to perch on fence posts between hunts. This snowy owl was hunting east of Ottawa during the coldest part of the winter, and was in the processing of switching perches. While the island of Iceland is home to trolls and fairies, this grey whale was hunting off the north coast on a foggy, windy day. On the north coast of Iceland east of Akureyri, the geothermal features of Iceland at the surface include hot steam vents and bubbling pools of mud. It feels unworldly. As we came through a gap in the mountains into the highlands of Iceland, this valley spear out in front of this. This image, like many I made in Iceland was done with an iPhone 6. The low fog in the distance, combined with the blue skies past the mountains were a wonderful site. The classic white Icelandic church with its red roof stood out in this harsh landscape. You just never know when you are going to see caribou. This herd was found just minutes after we left our hotel in the morning. Had we not been so anxious, they probably would have stuck around for a while. The remains of this grey whale skull stood out on the black beach with the storm clouds in the distance. While at Skogafoss, we had the beautiful site almost all to ourselves. Except for one couple who were up close to the falls, and obviously enjoying the moment. As they left, I went over to speak to them and offer a copy of the photo. Proving that it is a small world, this couple was Canadian, and lived in Toronto, in the same apartment as one of our participants in the Portfolios in a week trip. Wow. On one of the extra days at the end of the Portfolios in a week tour this mother sheep still in her winter coat was along the side of the road with her two lambs. With the waves crashing up to the top of these 30m high cliffs, the nesting sea birds were all flushed by a group of ravens flying over looking for unoccupied nests. On the last day of the tour we explored some interesting spots with local model Eyrún Jónsdóttir. This image was made at a local site where they dry fish heads before shipping them to Nigeria. This green heron at Mud Lake in Ottawa is about to make the dive into the water for a fish. The spread wings, body position, and the calm water all combined for an unusual image. Roller derby is such an unusual sport, and I liked the facial expression of the jammer as he made it by the pack on the inside by jumping. An early morning catch of catfish was being taken to the shore to be enjoyed by this blue heron at Mud Lake in Ottawa. At my son Andrew's wedding to Shannon this summer, I took almost no photos. Between M+M Photography who did a great job, and multiple friends who covered the event, I only rarely picked up the camera. This image is of my wife Laura, helping Andrew put on the watch of his Opa who had passed on. It was a very personal moment. An international friendly between Canada and the USA held outside Ottawa had a lot of good action. This images had a set of faces that made it interesting to me. At the World Freestyle Kayak Championships north of Ottawa, the athletes were doing amazing things with their kayaks in the fast waters of the Ottawa Riger. A full moon going into full eclipse is rare, so using Parliament Hill as a foreground was a great choice of location. I took literally tens of thousands of photos of snow geese this fall as they are in the Ottawa area for quite a while. This one stood out as being different because of the layers of geese and of course the moon in the background. The favoured location for the snow geese this year was a sod farm east of Ottawa, and they would occupy an area that could be literally several kilometers wide and deep. In this image, a flush was starting on the far side of the flock and moving towards us. In spite of how tightly packed the snow geese are, there do not seem to be any collisions on take off.